Communities and Local Government Secretary Eric Pickles has today announced plans to disband the Audit Commission and refocus audit on helping local people hold councils and local public bodies to account for local spending decisions. The changes will pass power down to people, replace bureaucratic accountability with democratic accountability and save the taxpayer £50 million a year. The new Government will set in train measures to radically scale back centrally imposed, bureaucratic and costly inspection and auditing, saving council taxpayers money. The audit expertise of the Commission will be moved into the private sector. The Audit Commission’s responsibilities for overseeing and delivering local audit and inspections will stop; the Commission’s research activities will end; audit functions will be moved to the private sector; councils will be free to appoint their own independent external auditors from a more competitive and open market; and there will be a new audit framework for local health bodies. This will save council taxpayers’ money and decentralise power. Ministers believe that the work of the Commission has increasingly become less focused on accountability to citizens and more on reporting upwards to Government, judging services largely against top down Government imposed targets. As a result of the changes, the Audit Commission’s in-house audit practice, which is the fifth largest audit practice in the country, will be transferred out of public ownership. A range of options will be developed for converting the audit practice into a business independent of Government which could be sold or otherwise transferred into the private sector. 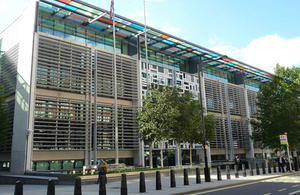 Shift power from Westminster to people: Local people, not Whitehall, will now be the audience for the assurances audit gives on local spending decisions. The Government is committed to promoting decentralisation and democratic engagement and ending the era of top-down government by giving new powers to local councils, communities, neighbourhoods and individuals. This needs to be underpinned by audit reporting not upwards to Whitehall departments but to local people. Citizens’ rights: The powers of the separate Local Government Ombudsman will be strengthened, to give residents greater rights when local services go wrong. Save the taxpayer over £50 million a year: This will include saving the central and corporate costs of the Audit Commission, currently paid for by the Commission’s fees including a surcharge on audits, including those by private firms. In addition, councils will be able to appoint their own independent external auditors from a more competitive and open market among audit firms, reducing costs. Maintain auditing standards: Councils and local health bodies will still be subject to robust auditing. Protections will be developed to ensure independence, competence and quality, including audit quality regulated within a statutory framework, overseen by the National Audit Office and profession. The Commission’s research activities would stop; ending duplication with others and strengthening the National Audit Office’s role in this area. Protecting children and the vulnerable: Inspection and intervention will remain for the most vulnerable to protect public welfare, including children’s services and adult social care. The corporate centre of the Audit Commission has lost its way. Rather than being a watchdog that champions taxpayers’ interests, it has become the creature of the Whitehall state. We need to redress this balance. Audit should remain to ensure taxpayers’ money is properly spent, but this can be done in a competitive environment, drawing on professional audit expertise across the country. I want to see the Commission’s auditing function become independent of Government, competing for future audit business from the public and private sector. These proposed changes go hand in hand with plans to create an army of armchair auditors - local people able to hold local bodies to account for the way their tax pounds are spent and what that money is delivering. 1. For local government these changes are part of the Government’s wider focus on transparency that will bring about a revolution in town hall openness and accountability. Local people will now be the audience for assurances that their council is spending money wisely, that they are well governed, their council is financially robust, achieving value for money and providing accurate information and data. 2. This will complement plans to strengthen individual citizens’ rights of redress should they receive poor council services by enhancing the role of the Local Government Ombudsman through making his findings legally enforceable. 3. District auditors will retain a duty for reporting issues in the public interest. They will be able to undertake special investigations where they, the local government sector or any continuing inspectorates such as Ofsted in the case of children’s services, or Care Quality Commission on adult social care, raise concerns about a council. Following any such investigations auditors will report locally and be able to make recommendations to the council, the sector, inspectorates, and if necessary to Government. 4. For the NHS, plans are being developed to establish a new audit framework for local health bodies. Audit changes in health will be consistent with vision set out in Equity and Excellence: Liberating the NHS designed to provide assurances that support the democratic accountability now proposed, and the accountability and responsibilities of the new NHS Commissioning Board and Monitor as economic regulator. The new framework will not compromise the Department for Health requirement to report to Parliament. The expectation is that greater use will be made of competitive open market auditor appointments, with appropriate protections to ensure quality and independence. 5. For the police these changes will ensure there continues to be robust arrangements for audit, the detail of which is being developed as proposals for directly elected Police and Crime Commissioners are taken forward. These audit arrangements will complement the responsibilities of Her Majesty’s Inspectorate of Constabulary, which will continue to oversee the police. 6. Communities and Local Government will now be working closely with the Audit Commission, the accountancy profession, and the local government and health sectors to develop the detailed design of the new systems. We intend to seek the necessary legislation in this Parliamentary session. The aim is for such a system to be in place from the 2012/13 financial year, with the necessary legislation being sought in this Parliamentary session. The NAO is independent of government and the auditor of central government bodies. The NAO is therefore well placed to provide the oversight role for the audit of local government and health and would need to be able to rely on the work of local auditors when forming its audit opinion on the adequacy of assurance provided by departments. Combined with its existing functions, the oversight role would enable the NAO to report to Parliament on the quality of audit across the local government and health sectors, and on the economy, efficiency, effectiveness, and productivity of these sectors.